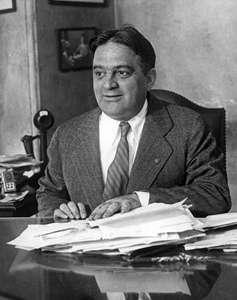 December 11, 2018 -- Fiorello Henry La Guardia was an American politician. He is best known for being the 99th Mayor of New York City for three terms from 1934 to 1945 as a Republican. Previously he had been elected to Congress in 1916 and 1918, and again from 1922 through 1930.